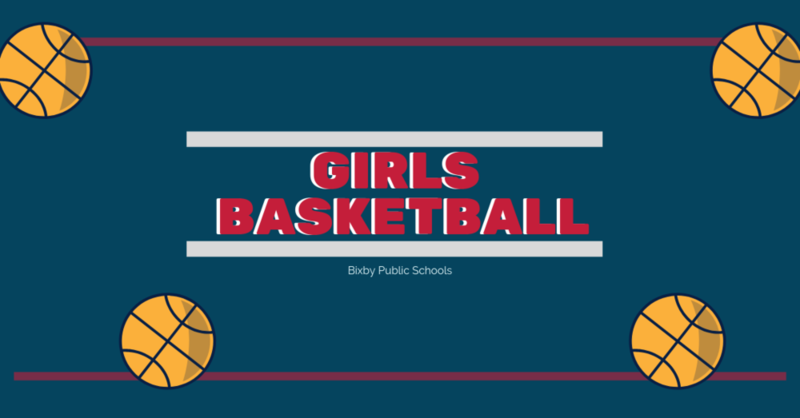 Effort hasn’t been the problem for Bixby High’s Lady Spartans during a rugged schedule of games recently. Consistent offense has been a struggle as evidenced by Lady Spartan losses at 19th-ranked Sapulpa and at home against 14th-ranked Booker T. Washington last week. No. 18 Bixby, 9-7 on the season, was out scored 55-27 in the second half in dropping a 72-42 decision at Sapulpa last Tuesday. The Lady Spartan splayed better in Whitey Ford Field House last Friday but offensive woes in the middle quarters resulted in a 48-29 loss to Booker T. Washington. In the past three games, Bixby has faced top-ranked Putnam West, Sapulpa and Washington. The demanding schedule continues Tuesday, Jan. 22, when the Lady Spartans host fifth-ranked Tulsa Union, 11-2 on the season. “We’ll have four super tough games but we’ll be off next week after the Union game so that will give us a little regroup time,”said Lady Spartan head coach Tina Thomas. “They’re playing hard and giving effort but we're going to have to play with more discipline.” Bixby and Sapulpa were in a tight contest in the first half with the Lady Chieftains holding a 17-15 lead. But, a 27-9 scoring advantage in the third quarter allowed Sapulpa to pull away for the victory. Seniors Savanna Stout and Sydnee Schovanec were the lone Lady Spartans in double figures, finishing with 12 and 11 points, respectively. Sydney Page added eight points, Kate Bradley seven, Janiyah Hendricks three and Dariann Myles One. Bixby took an early 6-2 lead against Booker T. Washington before the Lady Hornets rallied behind guard Wyvette Mayberry - who canned back-to back three-pointers in the final 52 seconds - to take a 21-11 first quarter lead. The second quarter was low scoring with Washington scoring six points and Bixby three to give the Lady Hornets a 27-14 lead at intermission. Bixby remained in contention before the visitors pulled away late for the victory. “They hit some threes... they shot better than they shot when I scouted them”Coach Thomas said. “Our girls were trying to stop the dribble penetration and got to deep a few times leaving them open for good shots. They just knocked down big shots. “About the first three minutes of the game and in the fourth quarter I thought we did a good job. Against their pressure we just weren’t playing with enough discipline.”Myles led Bixby in scoring with 10 points followed by Page with six, Avery King and Stout with four each, Bradley with three and Schovanec, who had been battling illness, with two points. Mayberry led the Lady Hornets with 19 points. After the Union game, Bixby will be idle until visiting Broken Arrow on Tuesday, Jan. 29. The Lady Spartans return home Friday, Feb. 1, hosting Muskogee.